Ever need to do a bulk settings change to an established site in Joomla? Perhaps you forgot to make the changes as you were building the site? The obvious solution is to go through each menu item one at a time at set this manually – but there's a risk that some may be missed, and of course, the time it would take to do this to 200+ links would be considerable. NOTE: Please ensure you make a full backup of your database before proceeding – if there's a problem, you will easily be able to restore the database and try again. 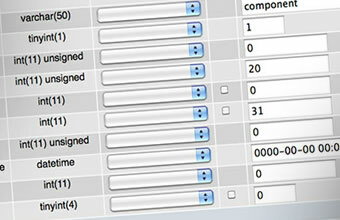 Use a program such as PHPMyAdmin to easily make edits to your database. Most hosting providers give easy access to this via your hosting control panel – this will allow you to find the table/field names and run the query easily. You'll see I've indicated the bit we need to change on the image above – it's in the field named params. So, we now know the name of the table, and the field that we need to modify. The text to search for (in this case) will be "secure=0" (so, any menu SSL settings that are set to "ignore"), and the setting we need to change to (like on the diagram) is "secure=-1" ("Off). If you're in any doubt as to the setting that's needed, just change it in Joomla and view the string in PHPMyAdmin. 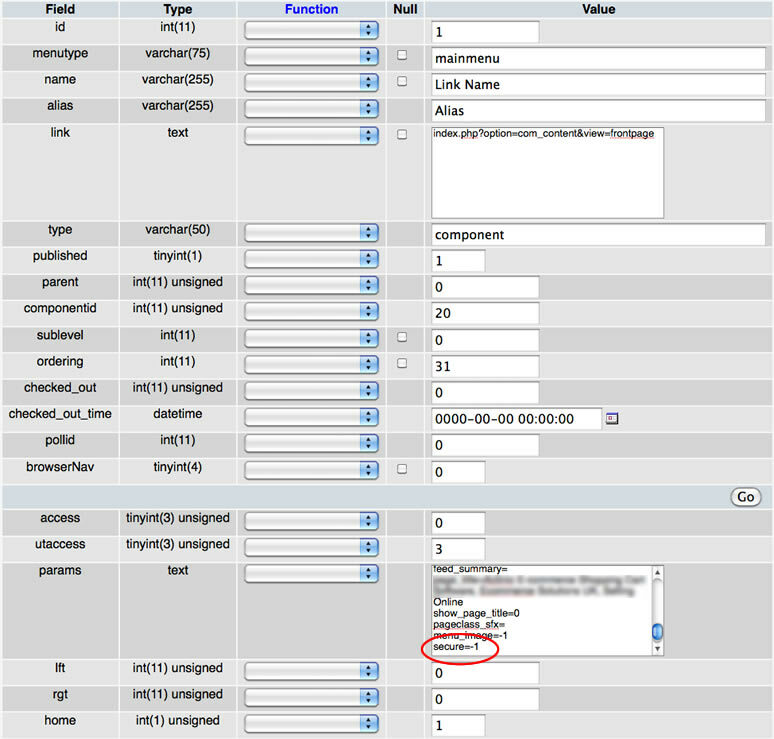 To run the query, simply click the "SQL" tab in PHPMyAdmin, paste your query into the box, and click go. Once it's run successfully, log into the Joomla administrator and check that everything was changed as expected.